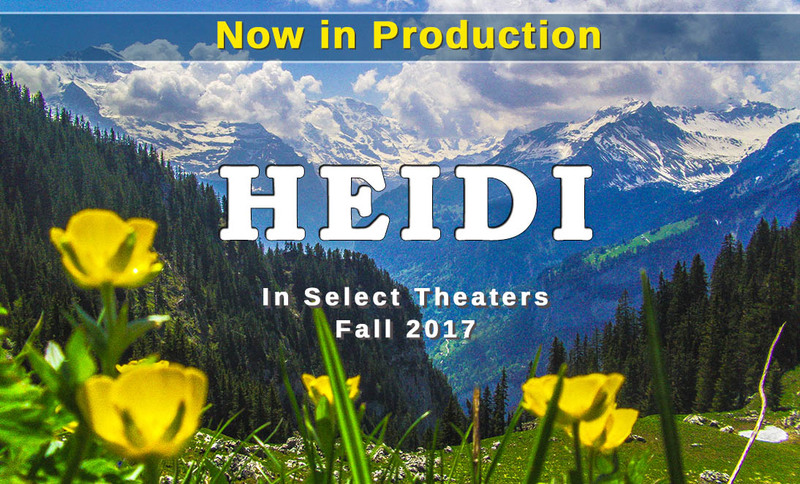 Our "Something Big" campaign to support the making of HEIDI is launching soon. 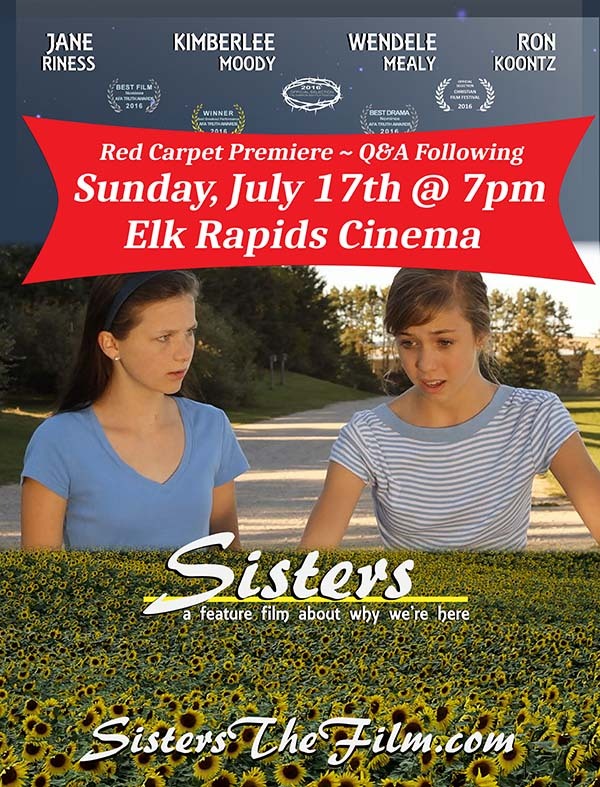 WHAT: Locally-produced, award-winning, faith-filled, family film Sisters Red Carpet Premiere. WHEN: Sunday, July 17th - Red carpet interviews and photo ops starting at 6 pm; Movie at 7 PM; Q&A with Director and Cast following the film. COST: Tickets are $5.50, available at the door. What if all you ever wanted was to take a deep breath? 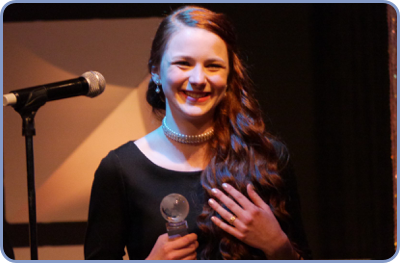 Praying for a miracle, sixteen-year-old Hannah Heinz has fought Cystic Fibrosis all of her life. When she meets twelve-year-old soccer player Sammy Foster and her family, she discovers the real reason for living it. A Precious Light Pictures film written and directed by Lynn Moody, Sisters is a poignant drama about why we're here, and what we're all destined for. Filmed entirely on location in beautiful northern Michigan (Traverse City and Williamsburg), the film features a talented, local cast and insightful script. AWARDS: Christian Film Festival (Newport News, VA): Best Film, Best Director (Lynn Moody), Fan Favorite; AFA Truth Awards (Knoxville, TN): Best Breakout Performance WIN (Kimberlee Moody), Best Original Song WIN (Jessica Hoover for "Beautiful Place"), Best Film nomination, Best Drama nomination, Best Original Screenplay nomination. A huge THANK YOU to those who supported and made Sisters the fine film that it is. We are currently in the distribution phase and are submitting the film to festivals around the country. We are also looking for a distributor. 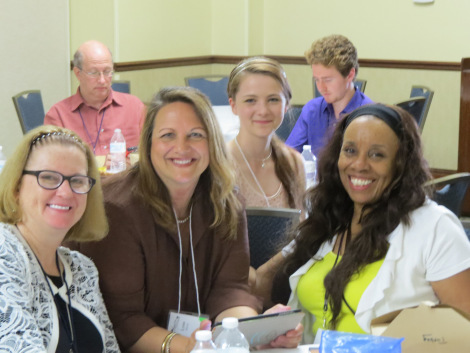 If you'd like to follow the film's success, please visit: SistersTheFilm.com. © Copyright 2015 - 2019 Precious Light Pictures, LLC. All rights reserved.